Our immaculate resort destination is located right on the beach. Mere steps away – you don’t even have to cross the road! Restaurants, bars and the Woolworth’s supermarket are all nearby. Our fully self-contained luxury resort apartments in Mission Beach, QLD, are fully air conditioned with open plan kitchen / dining and lounge areas which lead out through French doors onto your own private outdoor area. Mission Beach is one of Queensland’s most beautiful holiday locations. Nestled amongst sugar-cane and banana plantations, Mission Beach is surrounded by a World Heritage listed rainforest which runs along a 14 km coastline of tropical beaches that will make you feel as if you’re truly isolated on a secluded island. Mission Beach is known for its untouched beauty, it’s incredibly close proximity to the Great Barrier Reef (making it perfect for diving and snorkelling), and its large population of the famous cassowaries wandering around the rainforest. Our luxury apartments our favourites for both families and couples looking for private and comfortable holiday accommodation. We offer Breakfast Baskets and Cheese Platters , so you don’t have to worry about a thing! The experience you receive at Wongalinga Mission Beach is both personal and professional; check out our trip advisor reviews to see why so many holiday guests love to stay at Wongalinga. You’ve chosen Wongalinga – now your biggest decision is what to do or to do nothing! From our spacious beachfront apartments, you can enjoy all that a Mission Beach holiday has to offer. How about a long beach walk and a swim before breakfast? Spend the day snorkelling or diving on the Great Barrier Reef. Explore nearby Dunk Island. Try kayaking, sailing, fishing, croc spotting, bird watching or bush walking. Want more excitement? Try white water rafting, skydiving or jet skiing. Finish your day by dining out at one of Mission Beach’s excellent restaurants. If it’s all too much, just relax in our luxury apartments in our beachfront accommodation. Fully self-contained, they have all the comforts of home. Alternatively, sit by our QLD resort’s pool and soak up some sunshine. Our beachfront apartments in North Queensland are tastefully furnished with air conditioning, fans and televisions. The kitchens are fully equipped to enjoy dining in or you can have your own BBQ on the deck. There is also a self-contained laundry in every apartment and free undercover parking. We strive to make your stay as comfortable and relaxing as possible, so please get in touch if you have any special requirements and we’ll help you in anyway we can ! Or, if you have any further enquiries about your stay at our holiday apartments in Mission Beach, we would love to hear from you. Call us on 07 4068 8221 today to book your getaway to tropical Far North QLD. Wongalinga – turning your stay in Mission Beach into the perfect getaway. 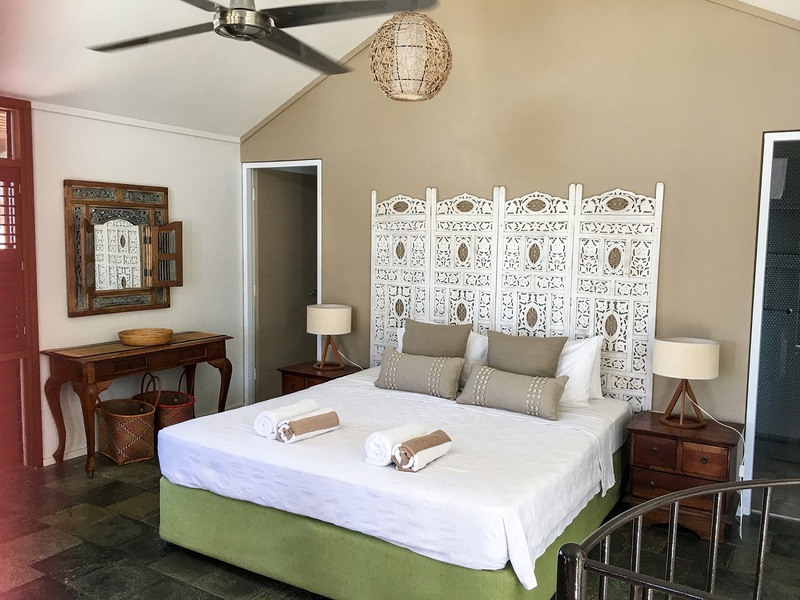 We offer a range of spacious 1, 2 or 3 bedroom beachfront accommodation options with views of the ocean, so that guests can relax on their private patio after a full day of exploring, or unwind in air conditioned comfort in their fully furnished apartments. 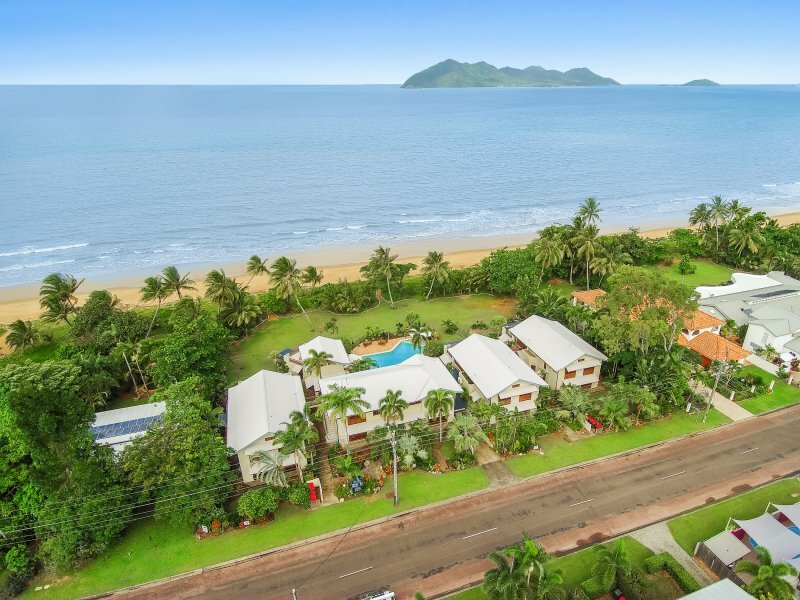 Just steps from the beach, Wongalinga Beach Apartments is close to everything you could dream of in tropical North Queensland; Great Barrier Reef, pristine nature and wildlife, Dunk Island, great restaurants & hospitality or even adventure activities!